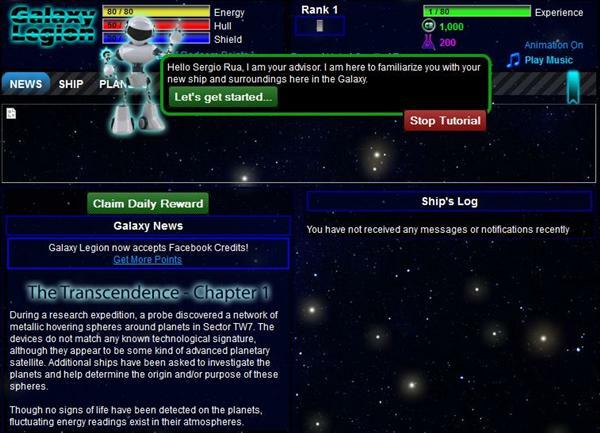 Galaxy Legion is a browser based space strategy game available on Facebook developed by Dan Montgomery, where you command a spaceship in your quest to dominate the galaxy. 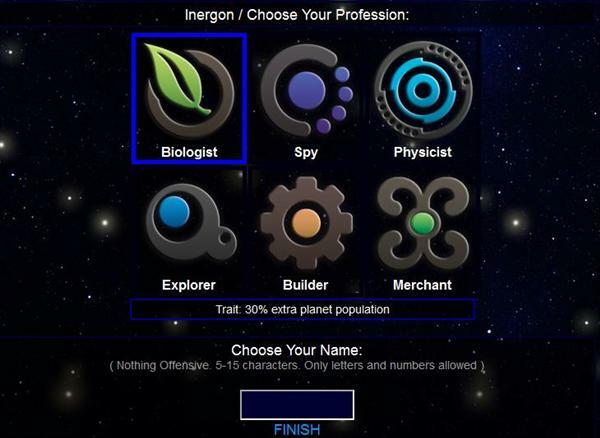 In Galaxy Legion you will discover and colonize planets, research powerful technology, and arm your ship with a wide array of modules, crew, and special devices. 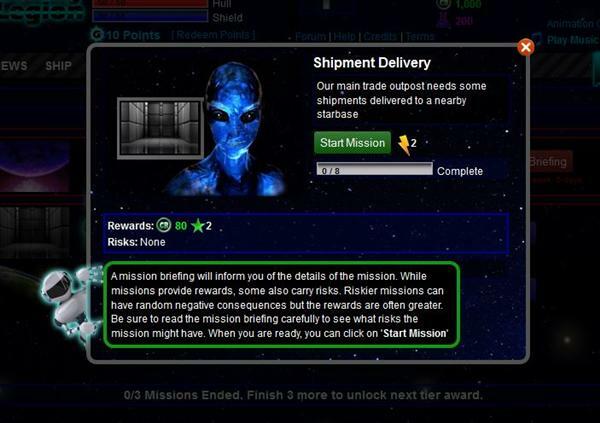 You will embark on strange and risky missions throughout the galaxy, and the rewards will be great. 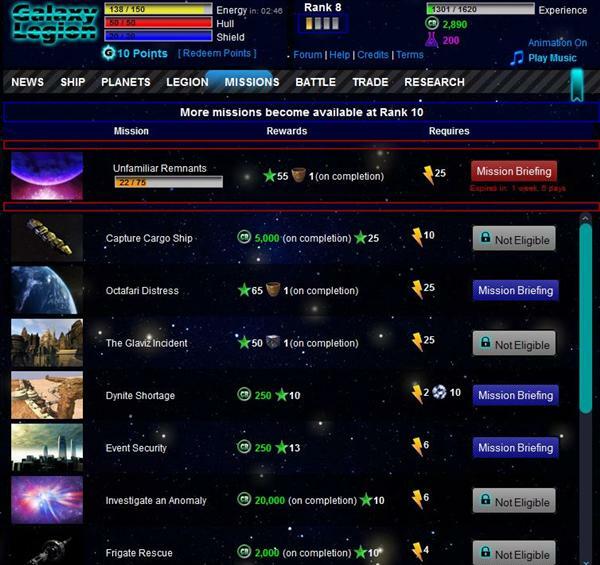 Missions are important tasks that you can perform to gain rewards and experience, increase your rank and perform ship upgrades, also, as you progress and gain experience and new ranks, new missions will become available. 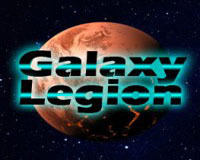 Galaxy Legion also features guilds (called legions), which is your group of friends and allies who fight together in the galaxy. 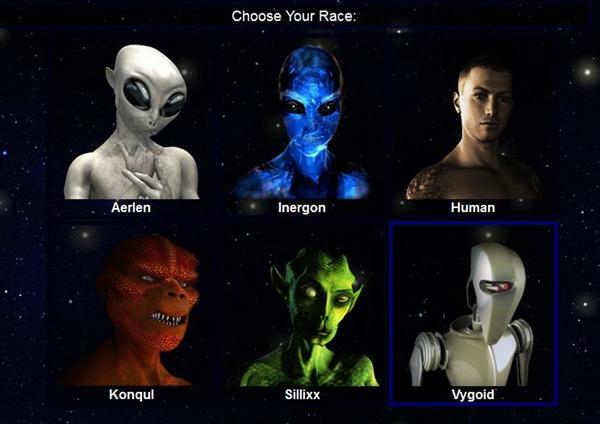 It will be challenging to face your enemies alone. 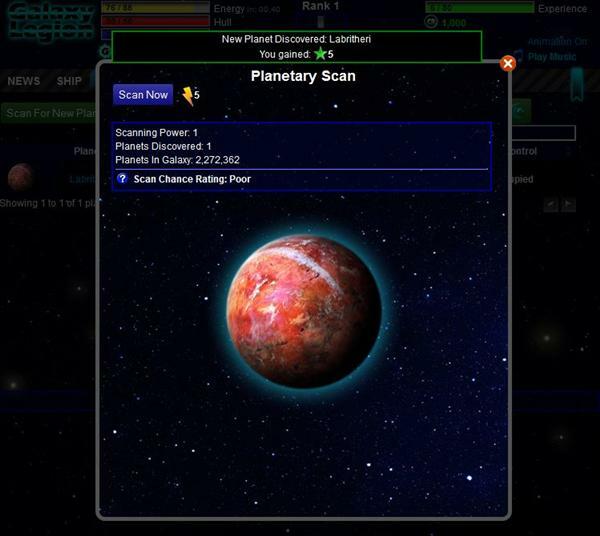 Your legion can trade together, defend each other’s planets, and coordinate attacks on targeted planets and enemies. 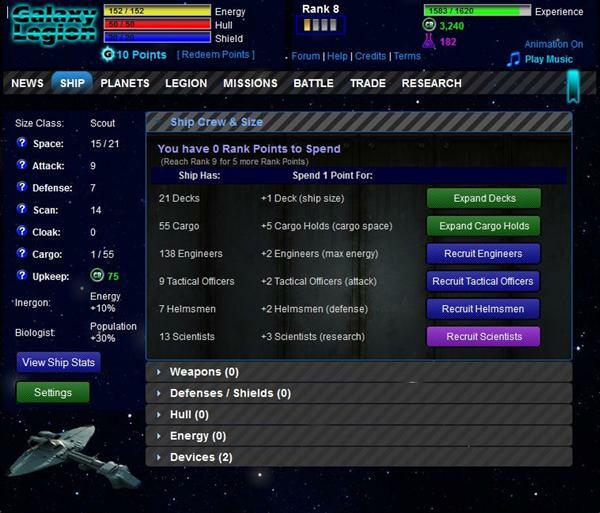 Trade is another essential part of Galaxy Legion, the Trade Center is the main area for planetary commerce and legion trading. 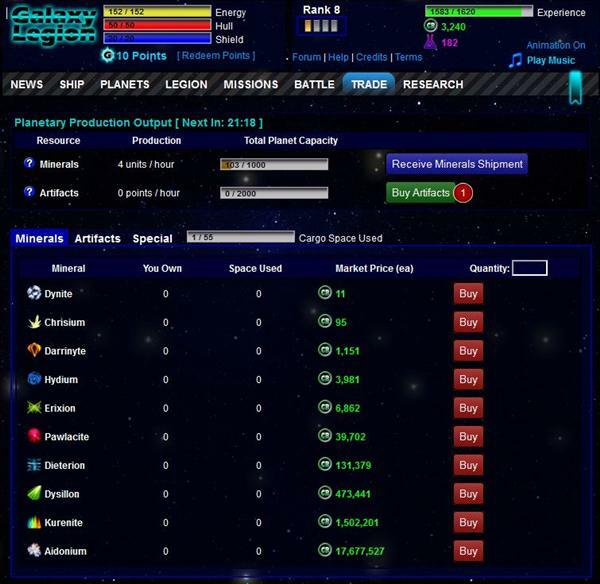 Here, your ship can accept shipments of minerals or artifacts from your planets. 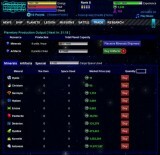 Goods can be bought or sold for market value, or sent to someone in your legion. Your ship’s cargo hold is only large enough to carry a certain amount of goods, so it is important to check back often, selling and trading when necessary. 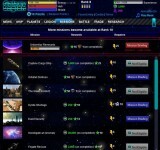 Related Tags: Space strategy, strategy.